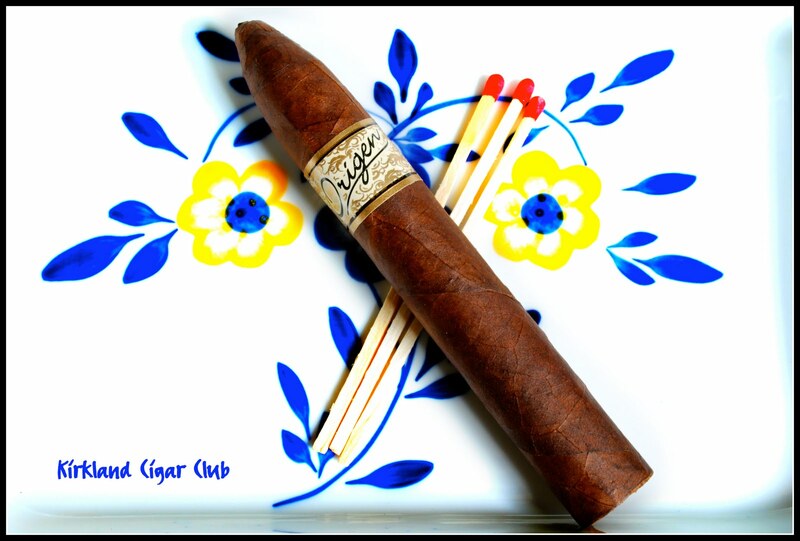 I received an email on Friday from my good friend Herman inviting me to the Vertigo Club to attend a little tasting class that evening. Short notice, but when Sir Godfather invites you to an event, you sure as hell don't want to miss the opportunity! So I ask my activity coordinator (my wife) if we were busy and she said "let's go!" I shot off a reply email to Herman saying that we'd love to attend, but we'd be a bit late - the Tasting starts at 7 PM, and I usually don't even get home till that time. He said no problem. We arrived at the club a little before 8 PM - all the Mariner game/I-90 bridge traffic had cleared out, so it was a breeze coming into town. At the club the security doors were unlocked, so we just walked through the doors and up the stairs - lots of people here. I spotted our host and apologised for being late. He said no problem, they were just getting ready to start. Sweet! First I'll tell you a bit about the event - it was actually a demonstration class and tasting for the "Perfect Martini" and the "Perfect Margarita". This ought to be fun since I've never had a Martini before, and all the Margaritas that I've had have come from a mix. Anyway, first up was the Martini. I'm not going to go into details, but honestly I didn't realize that it was so simple to make, you just have to have the right ingredients. He gave a little history of the drink and all the different variations. It was pretty neat and really looked simple to make. Next the perfect Margarita. Now this isn't necessarily something that I go out of my way to order, but since my lovely wife likes them, I've stolen sips from her glass many times. Mark told us a little history of the drink and instructed us on the finer points on how to make it perfect every time. Quite simple really - tequila, agave syrup, fresh lime and orange juice, lots of ice. Of course there's a sequence for preparing it, but basically if you use those ingredients you'll have a perfect Margarita every time. I tried the Martini first. This must be an acquired taste, because I really didn't care much for it. I drank it, but frankly I don't see how James Bond drinks these things. The demonstration and tasting went really well and was loads of fun, I know that the group thoroughly enjoyed it. I know I sure did! My thanks to my good friend Herman for inviting us, but also to the gang at the Vertigo Club for always making us feel special. You won't find a nicer place or better bunch of people to be around, trust me. If you're ever invited to the Club or invited to become a member, don't pass up the opportunity - it's truly a unique experience! I lit this cigar just before the Martini/Margarita class started. OMG, what a fantastic cigar. I had to do a double-take when I first started puffing away. What is this again? Origen? Holy cow - the flavor, the smoothness, its perfect draw, WOW! I love it! It has a beautiful dark oily wrapper and just the perfect firmness to it. When I had finished it, I wished that I had another one to lite up, it was that good. I will definitely buy this again. Thanks John for introducing me to this variety - I've never seen it before, but believe me they're on the top of my list now. Side note: Sunday was Father's Day, of course the weather was absolutely terrible - cloudy, raining and colder now than it was in February. We went into Seattle to see my daughter's new office and to have breakfast downtown. Since it was so crappy downtown, we decided to change our venue to the Eastside. We came back to Kirkland, they've got a few good choices for breakfast: George's, Hector's or Trellis at the Heathman Hotel. Well, since Brazil was playing in the World Cup at 11:30AM, we had to find a restaurant that wasn't too busy AND one that had a big screen TV, so we could watch the game while we were eating. Hector's - the bar was full. George's - 45 minute wait, plus there was no guarantee that they would seat us where we could see the game. We decided on Trellis at the Heathman Hotel. This is a nice place, it puts those other places to shame. We sat at the bar, which is just before the main dining room. Let me tell you, everything was First Class - the service, the food, the ambiance, everything! And realistically speaking, I doubt it was much more expensive than the other two places. Plus, you'll never sit next to a bunch of screaming little kids. What a great breakfast, and thank God Brazil beat Ivory Coast. PS - Thanks again Herman for the Padron cigar and the invite! Saturday night we went down to the Patch in Kirkland. BTW, did anyone try the free tacos that Qdoba was giving out between 22:00 hrs and 1 AM on Lake St? They weren't bad - not as good as Cactus, which is only about 100 feet away, but for free, heck, they were great! 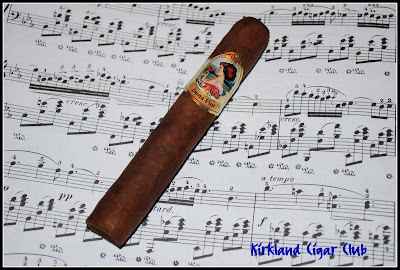 However, is it my kind of cigar, or would I go out of my way to buy this again? No... One problem for me is that there are a few brands that I really like to smoke and I like to measure everything up against these brands. 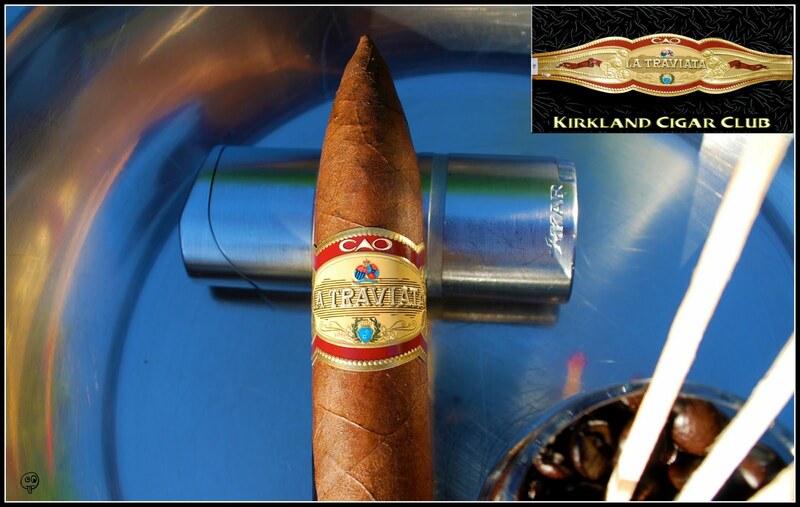 Case in point - on Sunday I was down at the marina smoking one of my regular sticks (not an Oliva), and when I lit it up I immediately knew that this was a far superior cigar than the one that I smoked the night before. The taste, the smoothness, the feel, and the look, all were measurably better. I guess it's good to have benchmarks, eh? I'm back from Brazil - what a great vacation! Perfect weather, excellent food and lots of cigars. So we're staying at a 5 Star hotel in Sao Paulo, beautiful place with just about every amenity you could ever think of, really classy. Anyway, our flight back to the States departs late at night, 23:30 hrs, so instead of spending the afternoon at the airport waiting for our flight, we get a late check-out at the hotel (basically paying for a full day), this way we can just kick back and take it easy, maybe watch a little TV, anything is better than sitting out at the airport. Anyway, one of the business perks that the hotel has is their "Happy Hour" up on the 10th floor. Happy hour at this hotel is wine, soft drinks, cappuccino, espresso, etc. , and LOTS of finger foods - all for free. It's pretty nice. So around 6 PM we had Happy Hour. So we finish checking our bags and now it's time to exchange some money back to dollars. No problem, plenty of Cambios around here. Right around this time I started feeling a little nauseous. I'm not sure if it was the noise, the sheer number of people, maybe the smell of grease from McDonald's, but all the sudden I started to sweat. My whole body was clammy. NOT GOOD! After we changed our money back to dollars we had to stand in another line to go through the security check point for our international flight. Another long line and I'm not feeling good at all. I update my lovely wife on the situation and ask her if she has a plastic bag, just in case. She gives me a look like "oh no, not now, you have got to be kidding me" sort of look. She checks - no luck. Oh man, this isn't good at all. It seemed to take forever to get to the security check point, but somehow I made it all the way through, but after putting my shoes and watch back on, I couldn't wait any longer. I spot a big garbage can next to a gal at the X-ray machine, the can is filled with all the bottles of liquid that you're not allowed to bring through the check point. Somehow I think the gal must have read my face and she pointed to it. So in front of about a thousand people I started to ralph my guts out. I kid you not. I hurled and heaved until I thought I was going to pass out. UGH. Finally, it stopped. Thank-God. We still had to pass through immigration to get our passports stamped. So here I am sicker than a dog, sweating profusely, pretty much looking like a terrorist, having to go through immigration to get out of the country. Luckily they stamped my passport with no questions asked. My wife said she'd grab the bags and told me to look for a restroom up ahead. I knew exactly where it was and I was off. I opened the door to the restroom and there was an open stall - thank you Jesus! Oh man I was sick - food poisoning. I must have been in and out of that bathroom 10 times, probably threw up a hundred times and towards the end it started coming out the other end. OH GOD. And I've got to get on an 8 hour flight to Miami any minute. Well, we waited till the absolute last-minute to get on the plane and we just happened to be sitting in one of those seats next to a bulkhead, so of course they didn't recline. My luck... Anyway, I was sicker than a dog the whole night, didn't sleep at all, but the one good thing is that I didn't throw up at all as well. Oh brother I was sick. About an hour before we landed, they served breakfast. One of the items on the tray was a little box of orange juice, you know the kind that you give little kids, you poke the straw through a little hole. Anyway, that little box of juice was so cold, so sweet, so good - I almost instantly felt better once I drank it. Of course I was totally exhausted, but I was starting to feel better. Yes! OK, so let me tell you about a cigar that I smoked on Saturday, here in Kirkland. A friend of mine called and asked if I wanted to get together for an afternoon cigar? I said "sure"! So we met down at the Kirkland Marina. My wife and I strolled out on the dock, out towards where the Argosy docks. My friend would join us shortly. I brought along a Dona Flor Robusto. I purchased it in Brazil a few days before. I've seen the name before, but never really thought too much about it, especially since it's made in Brazil. No offence. The appearance is not all that great, kind of a rugged wrapper and the cap on this one looks like a reject, but the label is appealing. I gave it a guillotine cut and lit it up. Wow, I'm surprised. It's not bad at all. What's more surprising is that there's about a 10 knot wind right now and this baby is burning absolutely perfectly. The flavor is a little more intense than my Cameroons, but it's extremely enjoyable. One other little note is the draw - just the way I like it - billows of smoke. 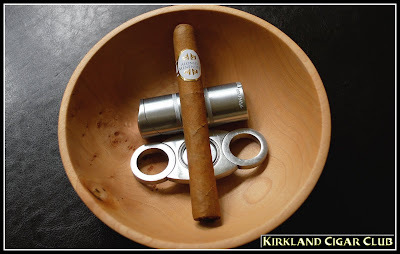 My buddy showed up and we enjoyed a couple of pretty nice cigars. 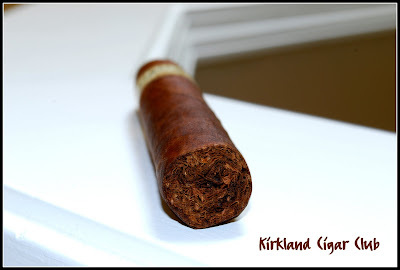 I would have never guessed that I'd like this robusto, but I certainly did. Nice job Brasil. 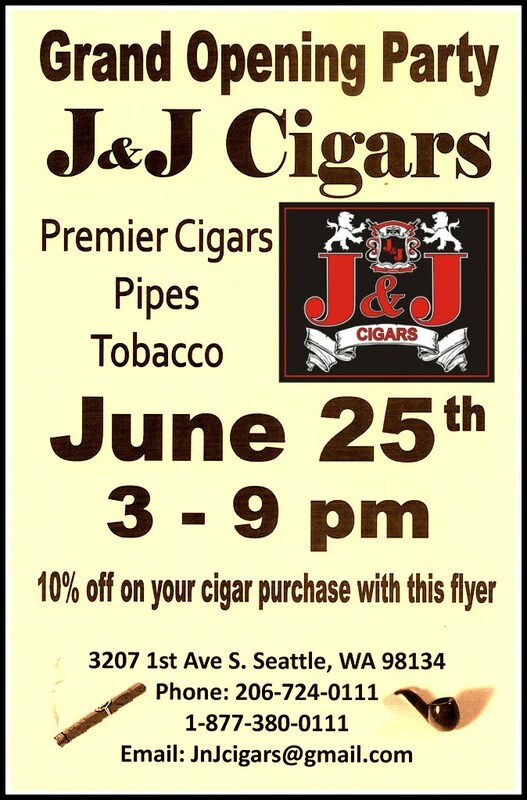 On a side note - I stopped by J&J Cigars today over at the Vertigo building in Seattle. My friend Herman, President of the 10-7 HABANEROS AFICIONADOS CLUB had mentioned for me to check it out. I walked through an opened front door and noticed a couple of guys sitting around shooting the breeze. They thought I looked lost, so they asked if they could help me? I said I wanted to buy some cigars, so they pointed to the humidor room down the hall. That's where I met the owner John, he was inside talking to a cigar reps. John's a cool guy, he immediately made me feel at home by introducing himself and asking me what I like to smoke? He then made a few suggestions, plus gave me some insight on what I might find of value. My kind of guy. I bought 4 different cigars and the rep was kind enough to throw in a freebie. Sweet! This is a pretty big store and a great selection of some of the finer cigars on the market. If you're in the neighborhood (SODO), I recommend you stop by and check it out! I'll be back, you can count on it John.